After several years of growth, August Beauty gardenias at last are flowering. That they are October gardenias rather than August ones is a bit of a mystery but this is a nice time of year for them to thrive. After spotting these in bloom this morning, I walked around to the north side of the house checking on my other passalong gardenias. Those have been blooming five or six at a time for most of the month and indeed, they continue to flower. Hugging these shrubs are several fall-blooming Camellia sasanquas, wonderfully laden with buds. I was surprised to come across some buds already revealing colorful petals. I imagined I even could detect the fragrance. Looking further I noticed with delight the scent was real as several C. sasanqua ‘Hana-Jiman’ tucked down near the ground were already fully open. The ants discovered them before I. Also on this north side of the house one more surprise awaited. Never have I had such an early hellebore. It appears to be a fluke but I will be checking this area often now. 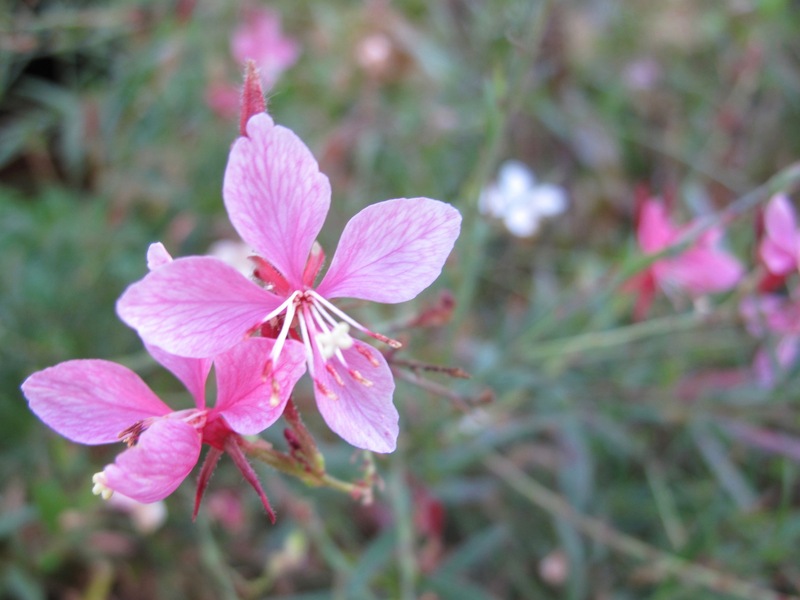 My Gaura never bloomed well in spring but has decided to try slightly to make up for it now. This one is ‘Passionate Blush’. Lately I have read with a smile that chrysanthemums are not universally appreciated. It is understandable, they are ubiquitous and maybe old-fashioned, but I like them. I bought four large pots and placed them among the shrubs out front for instant and long-lasting color. A yellow pass-along I was given more than twenty-five years ago is reliably full of of buds and promise in autumn—-no flowers yet but I look forward to them. And for the first time I am growing ‘Sheffield Pink’ thanks to my neighbor Nancy. What special flowers has October brought to your garden? This entry was posted in garden and tagged Camellia sasanqua 'Hana-Jiman', Chrysanthemum 'Sheffield Pink' (Hardy Chrysanthemum), gardenia jasminoides 'August Beauty', gaura on October 21, 2016 by pbmgarden. From South Florida I thank you for the Camellias! And who knew August Beauty meant October, plants can’t read as far as we know. I think Christina from IAVOM told me Italians consider chrysanthemums funeral flowers, whereas I think of Glads! You’re welcome! I find camellias more exciting every year. I remember chrysanthemums and glads as funeral flowers too, but it is florist carnations I dislike for that reason. Hmm, I agree and miss Yuletides most of all. Carnations are high school corsages to me, though Chrysanthemums are right there, too! Thanks Judy, so glad to share the local flora with you. I’d love to visit New England in autumn to see those trees. 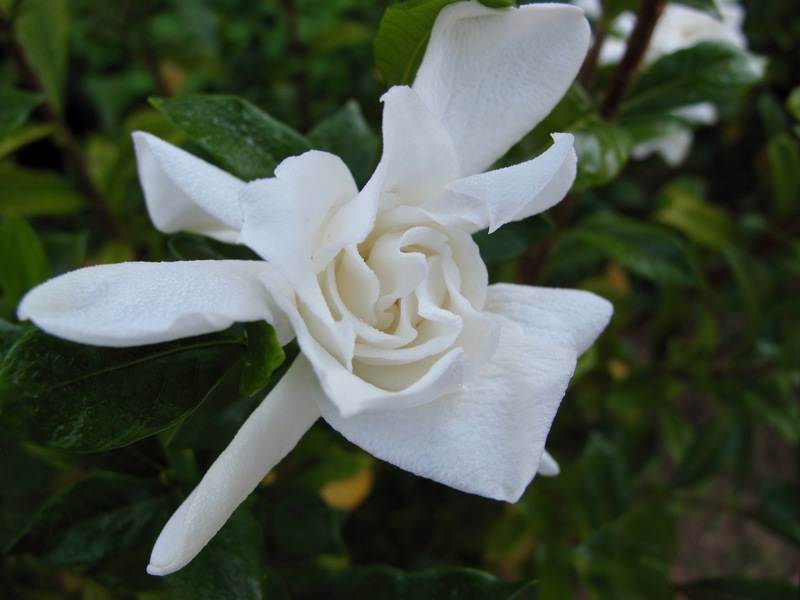 I always admire your gardenias, regardless of when they appear! 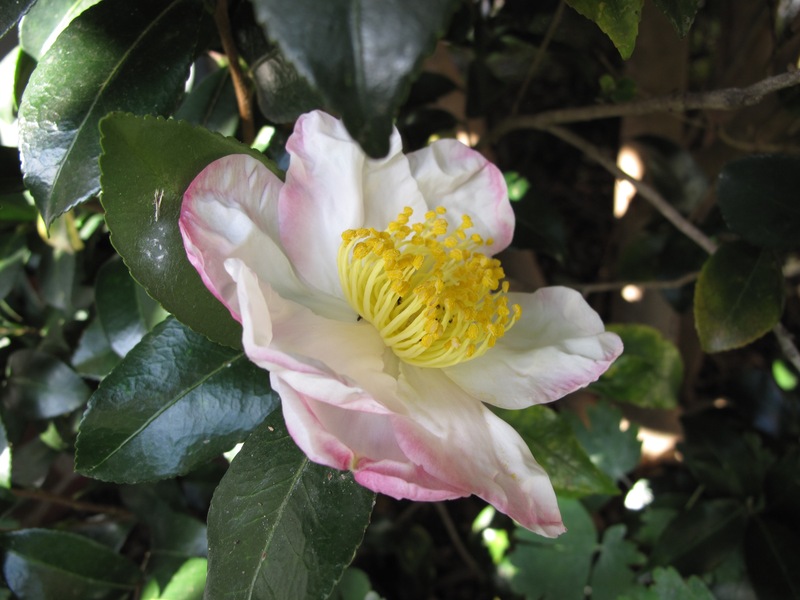 My noID Camellia sasanqua are starting to appear here and there, although I noted that one of the shrubs is clearly in decline, perhaps a casualty of our prolonged drought. My other October blooms are Senna bicapsularis and Barleria obtusa. 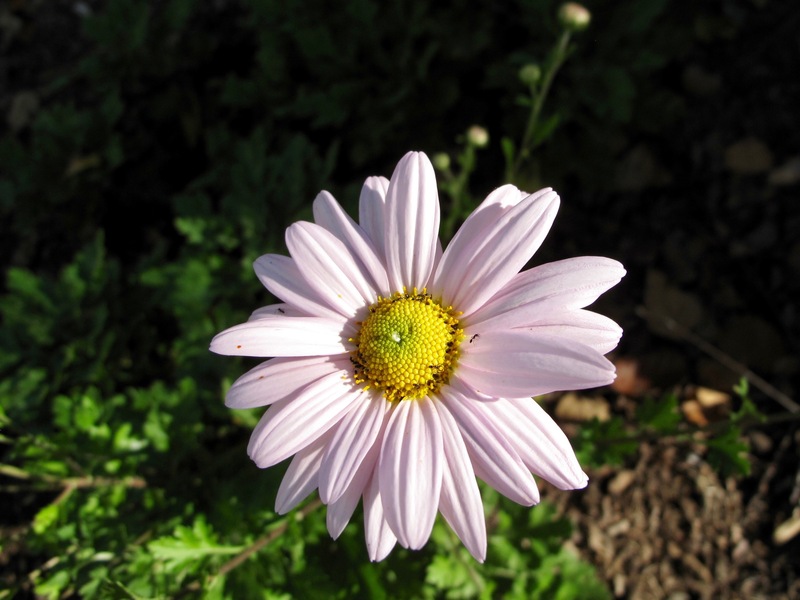 The Osteospermum were rebounding with the cooler nighttime temps – until another heatwave hit. Thanks Kris, the gardenias are definitely a treat any time. I looked up Barleria obtusa and it looks very cool. Have never seen it growing here but seems great. I’d like more flowering shrubs. Your gardenia is really beautiful, My Yucca flower is the star of the garden at the moment, but the wind has started to blow some of the flowers away! Thanks Pauline. I’d been so disappointed in these August Beauties but maybe they just needed time to mature before flowering. I saw your yucca in GBFD post and it is a standout. Hope the winds calm down. Very special, indeed, all of them! You can truly claim to have an all seasons garden.. all in the same season at that! Thanks. That is a fun way to think of it Jessica. Lovely to see the Camellias coming into bloom Susie. 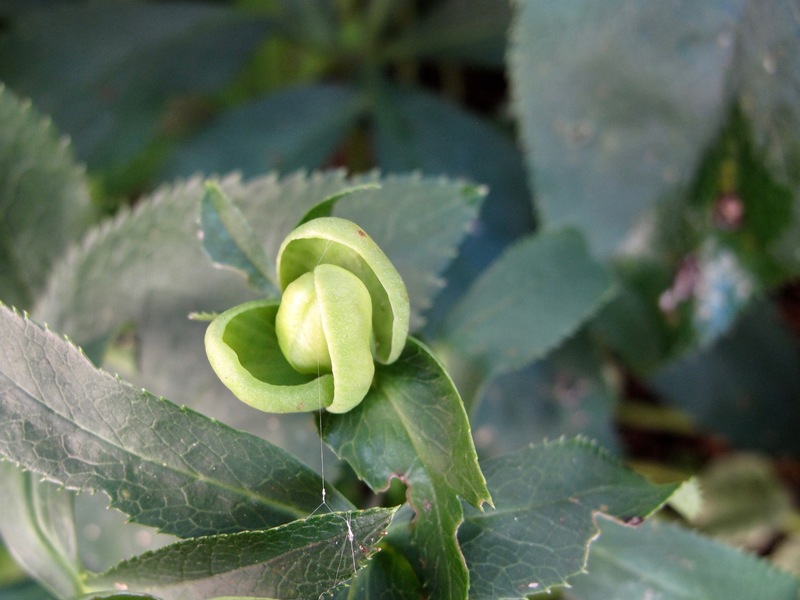 I have also had the occasional hellebore open in autumn before… must take a look tomorrow! I still have some determined rosebuds, but am unsure if they will open now. Yes, the camellias are a welcome sight and scent. Interesting you’ve had early hellebores before. I think my earliest before this one was late December. Hope your roses make it. 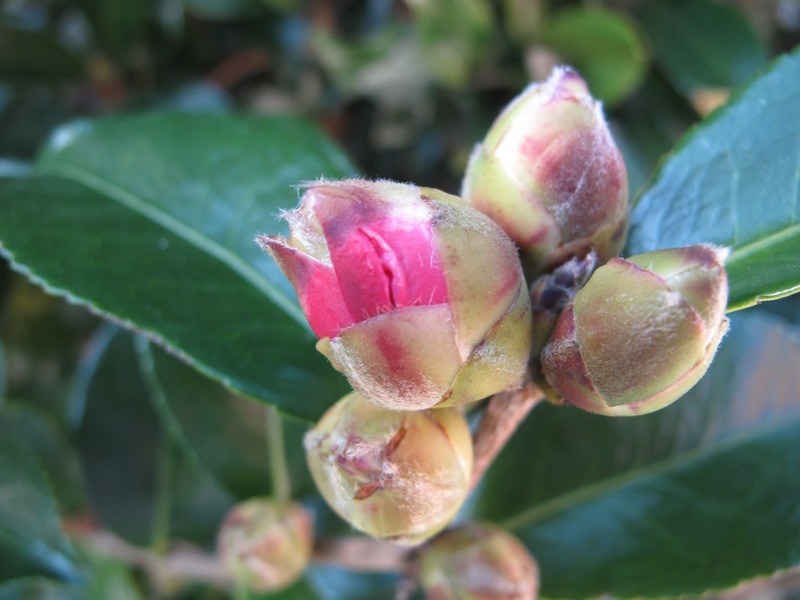 The camellia buds look full of promise, I must check mine out. Asters and Dahlias are our October stars. Hope your camellias are primed for a huge display Brian. The asters here have been unusually beautiful this year.